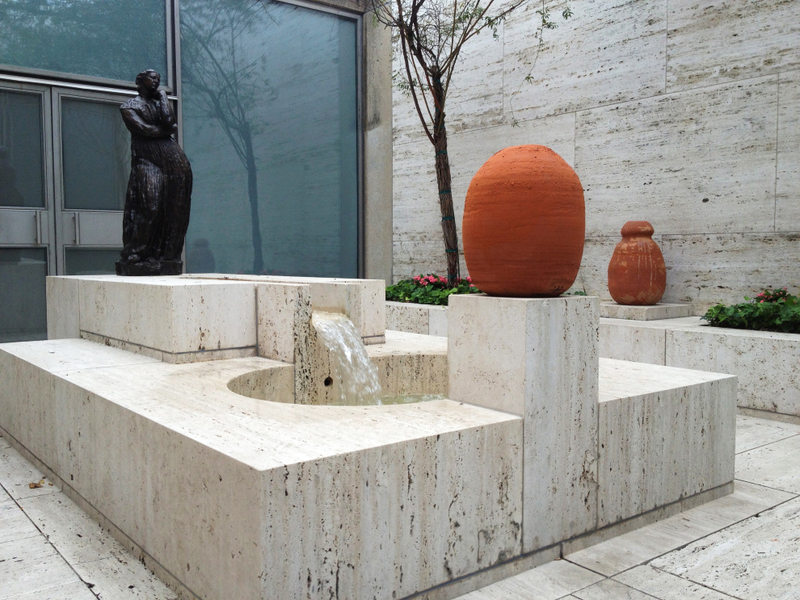 To commemorate the 40th anniversary of the opening of the Kimbell Art Museum in it's iconic Louis Kahn building, Adam Silverman created a site specific work, installed in the museum's southern interior courtyard. 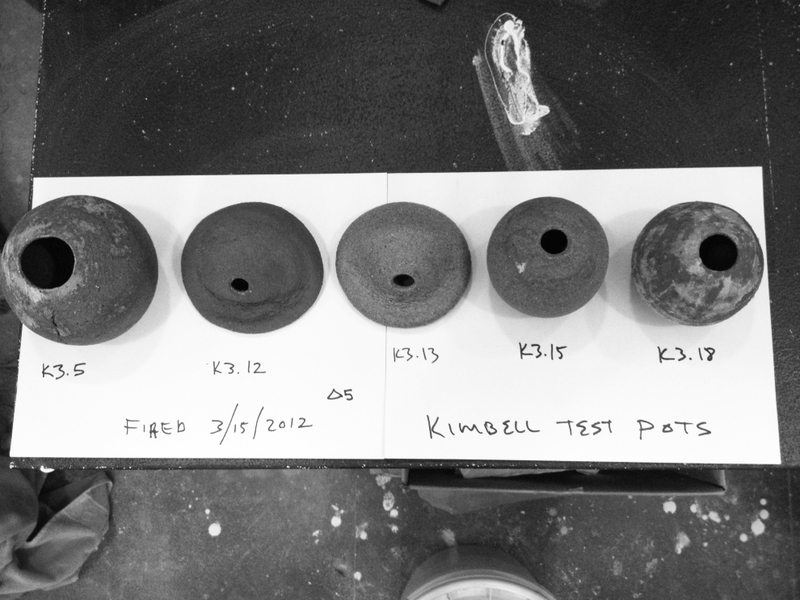 Reverse Archaeology, The Kimbell Posts consits of three ceramic vessels made entirely of materials that have been harvested from in and around the Kahn building and from the construction of the Renzo Piano pavilion. Several different clays from the grounds, water from the Kimbell fountains, wood ash from trees, cedar shavings, acorns, iron from rust, concrete, and travertine were all included. 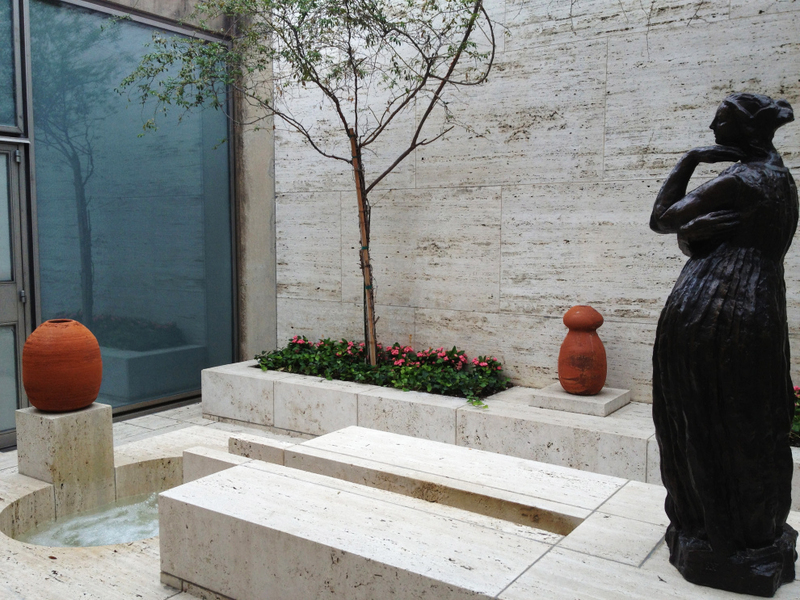 The project is an offering to the Kimbell, the the southern courtyard itself, and to Kahn and Piano. In the combination of geoetric forms with the primitive technical capabilities of the materials, these vessels have come from and belong to the Kimbell itself.